Tracy Z. Rewey has handled millions of dollars in owner financed real estate notes and alternative cash flow purchases since 1988, becoming a well known industry expert. Why make expensive mistakes when you can gain priceless insights? Tracy shares her 20+ years of insider secrets with real life examples that help you realize profits today and build cash flow for the future. Tracy began her career in real estate closings and title searches leading to a position with Metropolitan Mortgage & Securities. During her 10 years with Metropolitan she mastered a variety of positions including broker relations, investment analysis, closing management, underwriting, and BrokerNet™ software development. 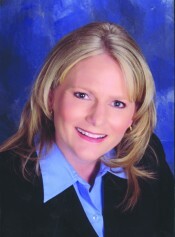 Tracy left her position as Vice President of Metropolitan in 1997 to open Diversified Investment Services, Inc, with her husband and business partner, Fred Rewey. From start-up note broker to corporate officers for the nation’s largest note buyer, their experience covers all aspect of marketing, closing, underwriting and servicing cash flow notes. Co-author of Promote Your Note Business and the acclaimed Personal Profit Series, Tracy specializes in the use of tax advantaged retirement funds to purchase both notes and real estate. Tracy shares her unique insights and experience with both new and experienced brokers through a variety of specialized services offered by Diversified Investment Services, Inc., a Florida note buying and training company. Since starting her own business, Tracy has learned to leverage a small business marketing budget using the power of the Internet, Social Media, SEO, and Local Internet Marketing. Online marketing has become the lifeblood of her company and she enjoys helping other business owners see the same results!